The 24 volt PST series inverters can withstand dc voltages of up to 33 volts which means that they are compatible with highvoltage dc charging-such as solar charging and equalization charging. Because of the heavy duty chassis, the PST-1000-24 is able to cool itself via convection, which allows for less fan run time-leading to longer fan life and less no load draw. PLEASE NOTE: Many electrical devices require a good deal more Watts to start or energize than is required to run once started. 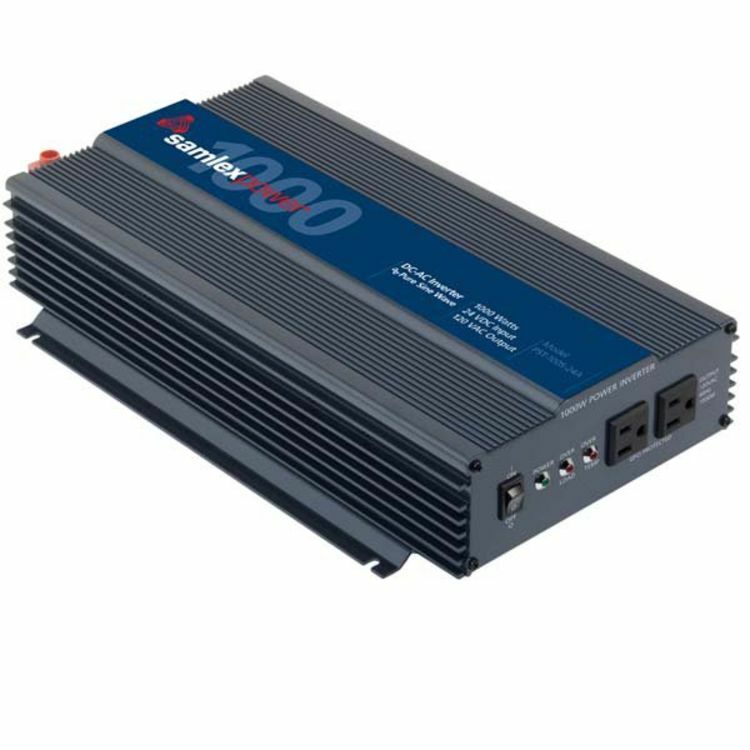 For instance an electric motor may require only 900 watts to run but need may 2300 watts to start. Please check with the manufacturer of your equipment to obtain minimum watts for starting operation of the equipment or device. RC-15A This simple switch allow the user to remotely switch on or off any PST or PSE series inverter made by Samlex. Allows for simple hookup with one phone jack type connector, there is no cutting and splicing necessary! Do you own the PST-1000-24? Please, tell us what you think about it. It helps us provide you with better products. Please note that it may take up to 72 hours for your review to appear.